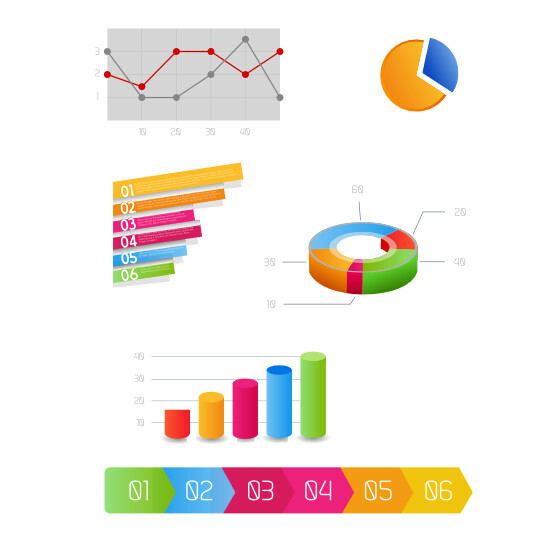 Do you need free vector charts and bars ? Here is a small set of cute vector charts in SVG, PDF, EPS. Great for creating own infographic presentation, statistics or reports.